What should I be spending on Google Ads? Budget optimize provides recommendations for allocated budgets between Google Ads campaigns in order to minimise the account CPA, or maximise account ROI. 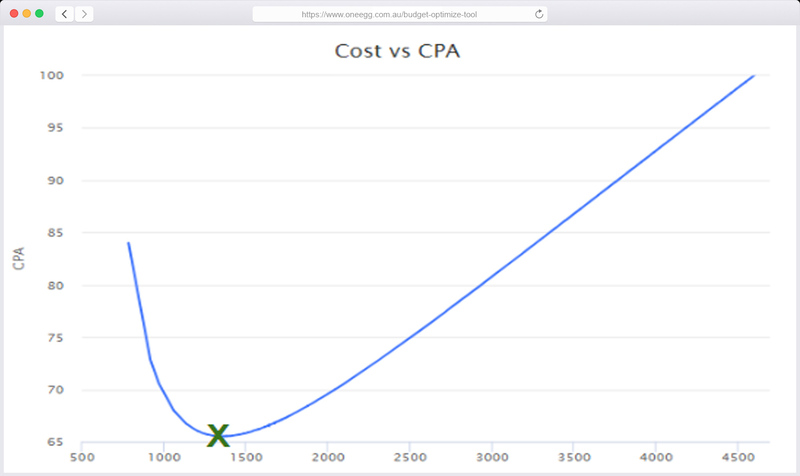 Using regression techniques & solver functions, budget optimize can identify the optimal CPA for your campaigns. 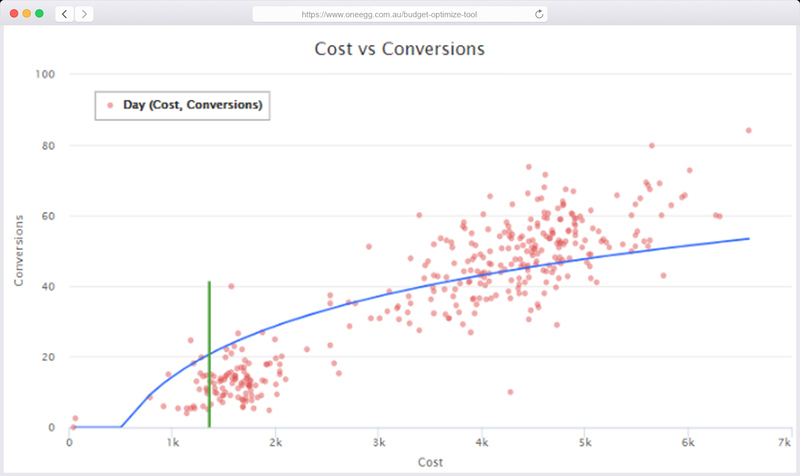 With Budget Optimize you can visualise your campaign budgets at different levels of spend and how that would affect results. Imagine you could visualise campaign performance as you adjust your spend. Budget optimize builds a model of campaign performance, allowing you to predict results when you move beyond where you have already been. Identify min & max optimal points where campaign performance is at it’s best.